Woop woop! 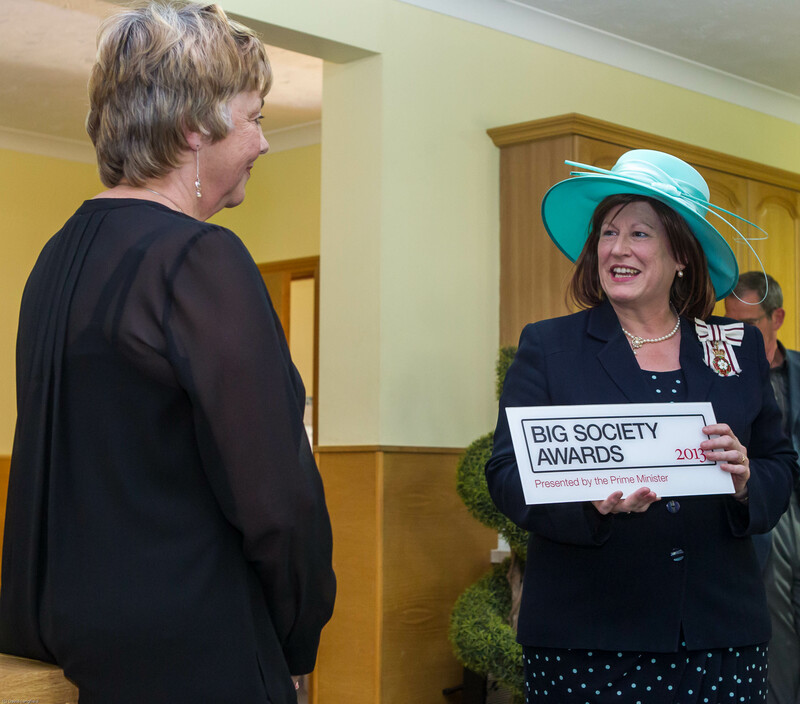 My workplace, the Bedford MS Therapy Centre wins Big Society award! The winners of the MS Trust ‘My Super Nurse’ award for 2013 are Miranda Olding of the MS Therapy Centre Beds & Northants and Lindsay Harrison of Salford Royal NHS Foundation Trust. Since voting opened at the end of January we’ve received hundreds of nominations from people affected by MS, from Derry to Great Yarmouth, from Truro to Dundee. Over one hundred different nurses were nominated: that’s almost half of the entire MS specialist nurse workforce! Each nomination came with a short tribute to the nurse being nominated, giving a little insight into the tremendous impact they can have. You can see a small selection of the nominees, and read short interviews with them, on our Super Nurse nominee gallery. We’d like to thank everyone who took the time to nominate their nurse this year. It’s amazing to hear real-life stories of the difference MS specialist nurses can make, especially at a time when many of them find their funding is under threat. Due to overwhelming numbers of nominations this year, and the fact that two nurses in particular were so far ahead of the field, we felt it only fair to announce joint winners of the award this year. So we are very happy to announce that the MS Trust ‘My Super Nurse’ winners for 2103 are Miranda Olding from the MS Therapy Centre Beds and Northants and Lindsay Harrison of Salford Royal NHS Foundation Trust. You can read an interview with Lindsay here and watch an interview with Miranda here. At the MS Trust we believe that everyone with MS should have access to a specialist nurse, but we are very aware that there are still gaps in the service. If you have had problems getting access to an MS nurse, or have had problems with the service you’ve received, you should read our blog post. Although Miranda and Lindsay have been named as overall winners, we’d like to reaffirm that, based on the feedback from this year’s campaign, almost all MS specialist are Super Nurses. Congratulations to all of you, and thanks to everyone who has made this year’s ‘My Super Nurse’ such a fantastic success. Read more about the MS Trust’s work to safeguard the future of MS nurse, and why we’ve focused on fundraising to roll out our innovative tools to help nurses demonstrate the impact of their work. via My Super Nurse award | MS Awareness Week 2013 | MS Trust supported research projects.